At Maximum Health & Wellness, we want you to be comfortable with us and your customized therapy program. We take time to talk with you about your condition and what it will take to improve it, as well as listen to your concerns. At Maximum Health & Wellness, most of our clients are busy professionals whose time is extremely valuable, and we help you stay on schedule. If you arrive at our office on time for your scheduled appointment, we make sure that you are seen by one of our staff within ten minutes. 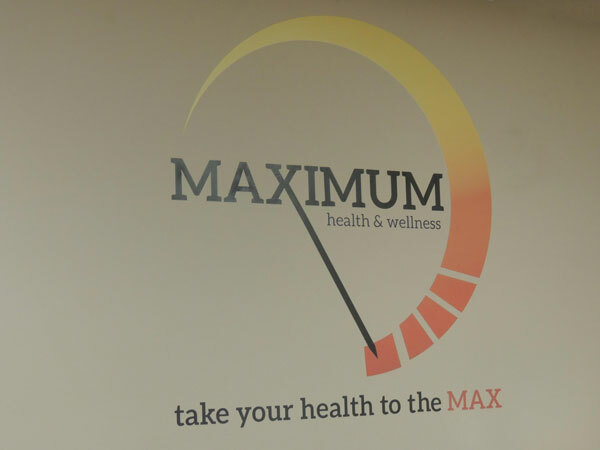 At Maximum Health & Wellness, our mission is to help you achieve and maintain overall good health. Whether you are seeking responsive or maintenance care, our experienced and highly qualified team is here to create an individualized plan that will best meet your needs. It is our goal to reach and educate as many people as possible on the profound positive effects that holistic medicine can have on improving one’s quality of life. We create an inviting and innovative practice, with unsurpassed quality, that meets the health needs of the entire family.